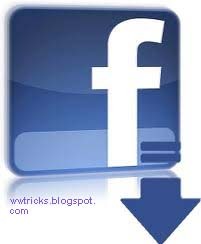 Home / facebook / social media / Tips And Tricks / How to download facebook photo Album in one click. How to download facebook photo Album in one click. In this post we are going to show that how to download full album of the photos of a facebook freind. Sometimes we want to download the freinds photos that is in his facebook account, if we download it one by one then it will take too long time(depends on the photos number). So if you don't know about downloading full album in a single click then this post is related to you and you are in the right place, A very simple trick is here for you. STEP-1: First of all, go to Facebook2Zip.com. because with the help of "facebook2zip" service you can download your desire photo album. This allows you to download your own or a friend photos in a zip archive. STEP-2: After going on facebook2zip.com you can see four tabs here. 1. to login to facebook, already login? skip to 2nd fab. 2.That is to choose a freind. 3.In this section you have to choose albums. So choose one of your freind album. 4.The fourth option you can see is to "download". So here place the ilbum on your pc that where you want to download it. So here you will easily download your album. NOTE: Many people may use other services/methods for this purpose and yes. it possible also from other method (like fbdownloader etc) but this was easier in my mind. So i decided to share this with you..
Any problem accures? related to any post, feel free to comment.